‘A forest a day’ project compiled in new report! There has been continuous logging in forests across Tasmania that were earmarked for protection and which have been independently verified as being of world heritage or national heritage value, despite promises of a comprehensive moratorium on logging these high conservation value forests whilst their long term future is negotiated. During July, we launched a new online project on www.taann.net and www.observertree.org called ‘A forest a day’. 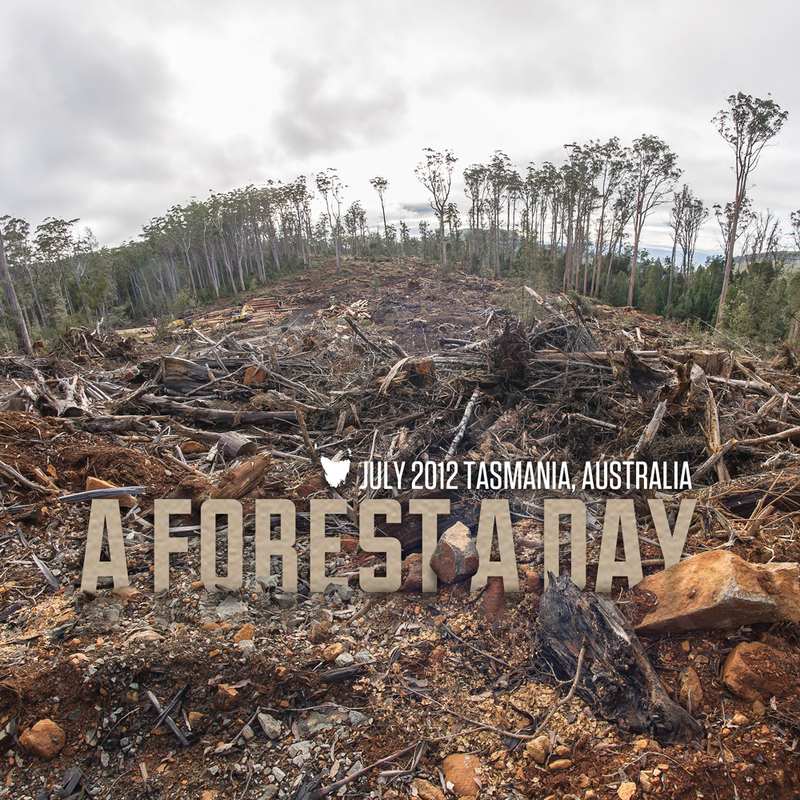 This important project showcases some of Tasmania’s most significant forested ecosystems, and documents their ongoing destruction. Throughout July, a new area of forest on the current logging schedule was profiled each day. These forests are under imminent threat or had been logged in the period of time when they should have been under a moratorium. We’ve compiled the online project into a report, which you can download HERE (for screen viewing) or HERE (for printing). Forests whose future protection has been under discussion have been falling to the chainsaw because of the influence of the forestry industry and the failure of decision makers to restrain Forestry Tasmania. Forestry Tasmania has failed to reschedule all logging to occur outside of the forests nominated for protection. A major driver of this logging is Ta Ann’s wood supply requirements, according to official documents. Please take action to help stop this destruction by sending a message to Ta Ann’s corporate customers in Japan HERE. Posted on August 20, 2012, in A Forest A Day. Bookmark the permalink. 1 Comment. What a stunning report! It has given me a much clearer understanding of what is at stake in Tasmania in terms of protection of extensive forests and native wildlife. I hope this will be studied and shared far and wide and that more people will put in an effort to raise their voices of protest and help preserve these forests for the future. Thank you to everyone who has been working so hard on getting this out into the world. You dedication is admirable. I feel deeply distressed that the destruction continues and a forest agreement has still not been reached. Keep up the good and hard work, anything that can be saved from logging will be worth it.